Villa Tareja offers luxury, tranquillity and space. 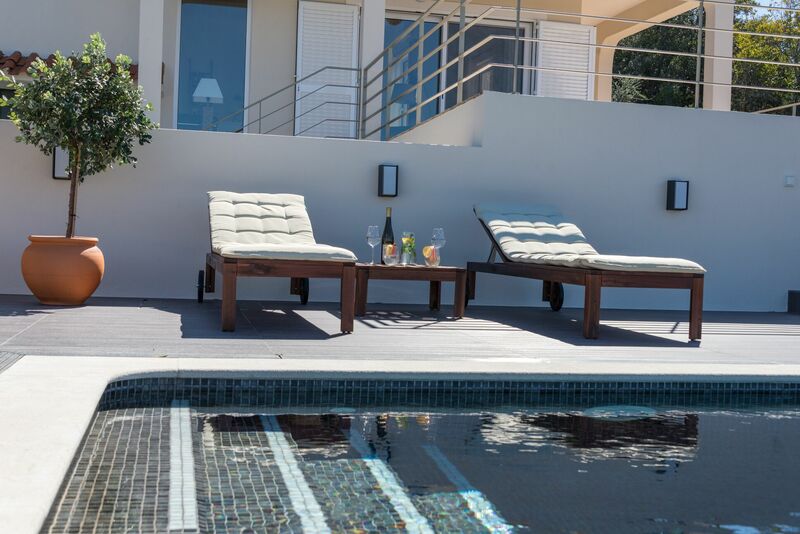 The stylish landscape villa has a beautiful infinity pool with spectacular views of the hills around São Brás de Alportel in central Algarve Portugal. A green oasis of olive trees, fig trees and oleanders surrounds the villa. Villa Tareja is ideal for people who want tranquillity and privacy, but also want to have amenities, beaches and attractions within easy reach. The old town of São Brás and all supermarkets are only 5 minutes drive by car. In just 25 minutes you drive to Faro Airport, the beautiful beaches of Olhāo and Tavira, several nice towns and the best golf courses in Europe.